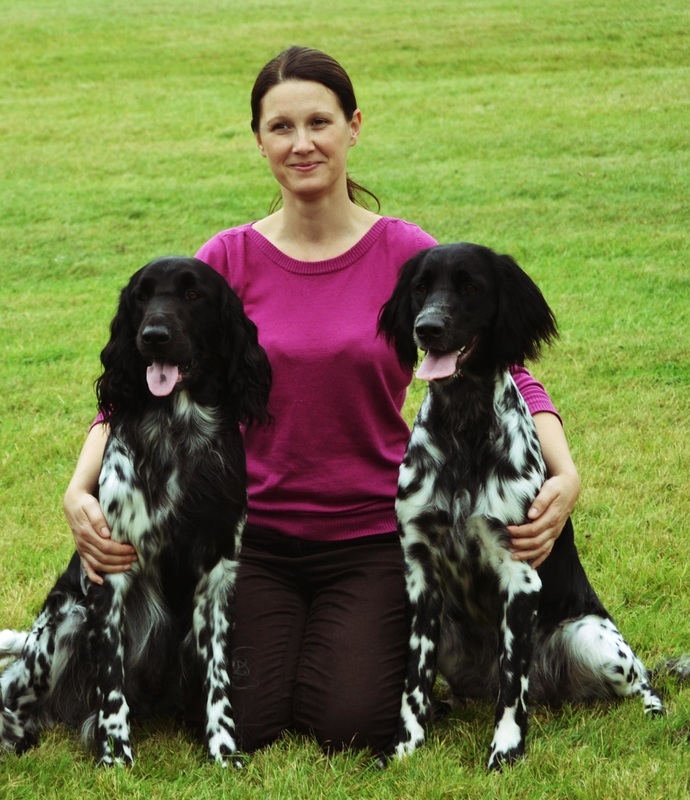 In 2011 we joined in Partnership with Jo Bargman of the Crumpsbrook Kennel. In 2013 we bred our first litter of Large Munsterlander puppies under the Crumpsbrook Affix which produced our Crumpsbrook Rather Litter. ​After much thought and deliberation in 2015 we decided to go ahead and start our own Kennel Quilesta. 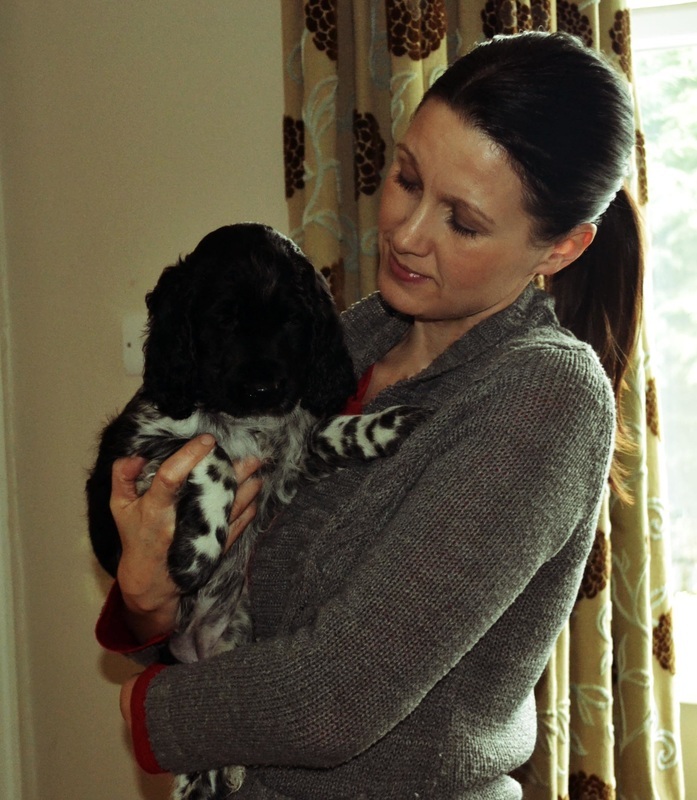 A big thank you goes to Jo and Chris Bargman of Crumpsbrook for allowing us to use their Affix Crumpsbroo​k for our first litter and getting us hooked on this wonderful breed, thank you. 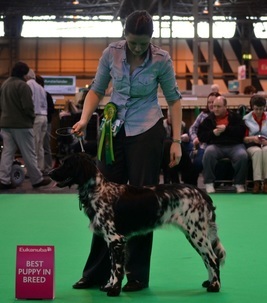 Esther taking Best Puppy in Breed at Crufts, what a way to end her last puppy class!! 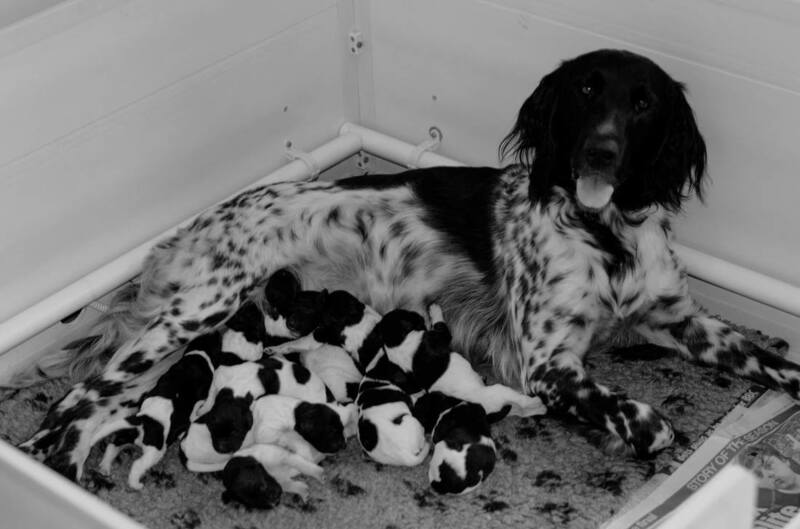 We occasionally breed from carefully selected mating's, our litters are reared in our home, mixing with our other dogs and children, they quickly become familiar to all the sights and sounds of everyday life. 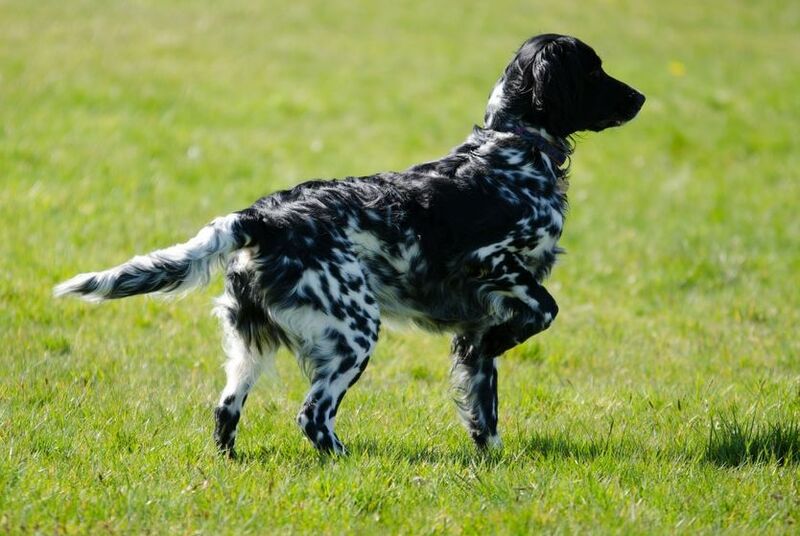 Our aim is to produce quality dogs which excel in type and temperament, with a good brain making them biddable and able to do the job they were bred for.